Washington's Largest Munich-style Oktoberfest celebration with German Biers, brats, entertainment, games & more. Non-stop live entertainment and German biers in two themed Festhalles: the Munich Festhalle, and the Bavarian Festhalle, plus Weiner Dog Races, Stein Dash 5K, Sports Haus, Bavarian Bier-lympics, Root Beer Garden, German food, and the Northwest's exclusive Hammerschlagen® Tournament of Champions! Rain or Shine - We’re Indoors! OFFICIAL PROGRAM - CLICK HERE TO VIEW! 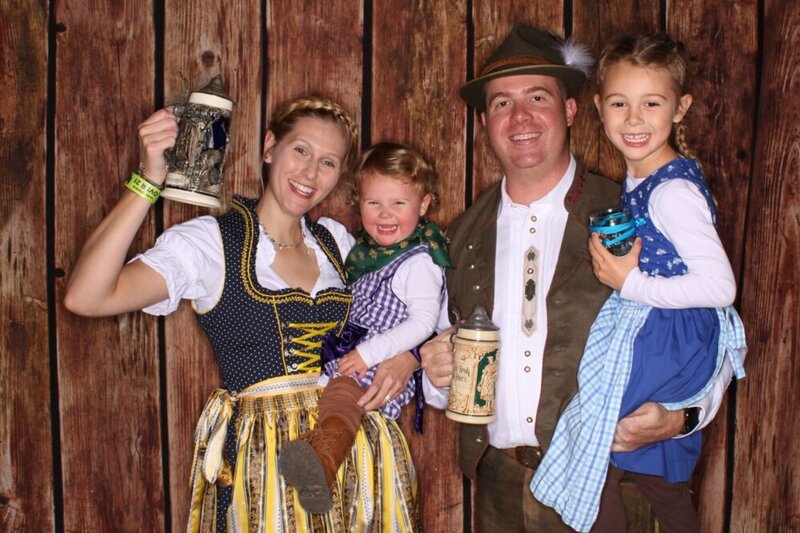 2018 oktoberfest Northwest puget sound photo booth co.
the fun, faces, and outfits of Oktoberfest NW 2018! Kids 12 & under can attend for FREE all weekend!